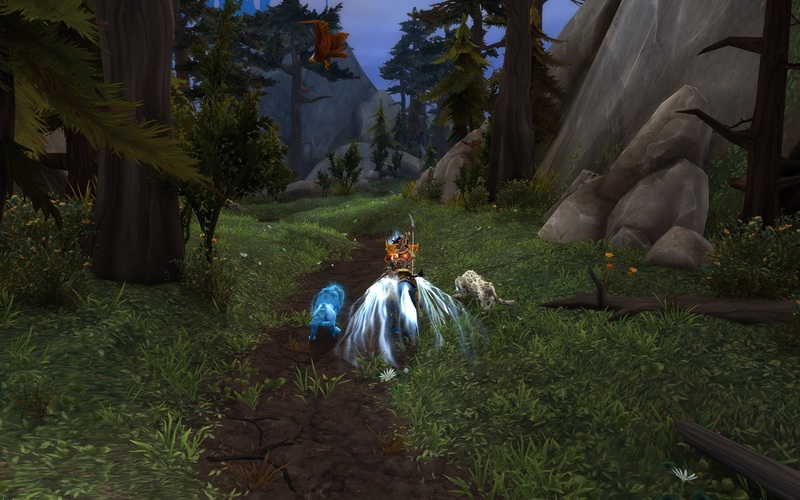 One of the goals I’ve always had in Warcraft was to hunt down every rare – or ‘silver dragon’ – in the game. It’s a fun goal, and a great way to tour some of the more out of the way caves and bogs and mountain tops. 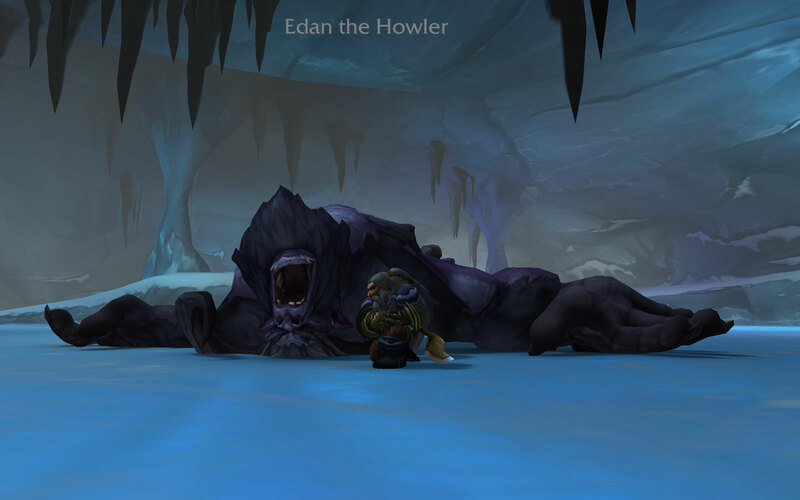 Edan the Howler. No relation to Eden the commenter, I hope. Plenty of people of done it of course, and I’ve started various blogs in an attempt to screenshot each find before inevitably running out of steam. Cymre at Bubbles of Mischief has the best presented list that I’ve seen – a labour of love with screenshots and many pages of adventuring. 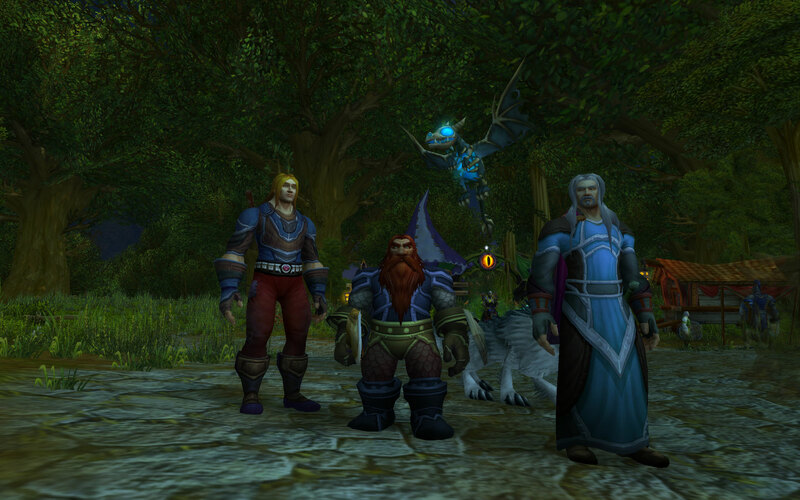 With the new Alliance Guild, it’s been fun tootling around Dun Morogh searching for the four rares that patrol the zone. I’ve found and, uh, murdered three of them, but the fourth – Great Father Arctikus – seems to have some kind of pathing bug that means he’s inside the mountain stone rather than the caves below. Oh well. His time will come! 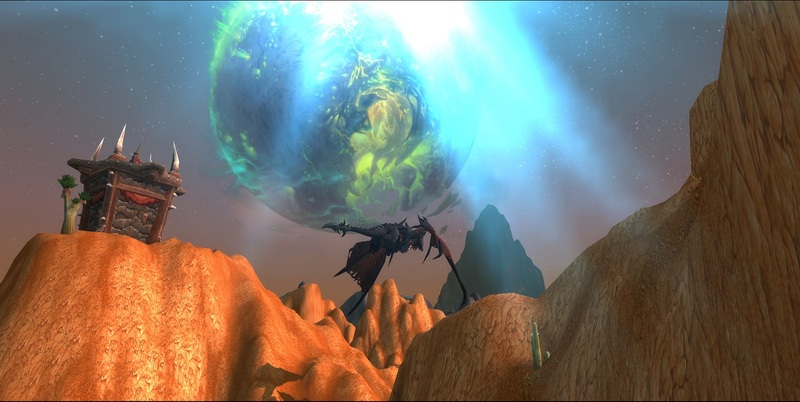 One of the other reasons for this project has been it’s away of paying tribute to the friend who tempted me into WoW way back in the Burning Crusade days. We discovered rares together in the game, and I remember taking a hardcopy of a Prima Guide to photocopying shop to make an A3 print of the list of rares it contained. We took a sheet each, and planned our assault on each rare with great care. 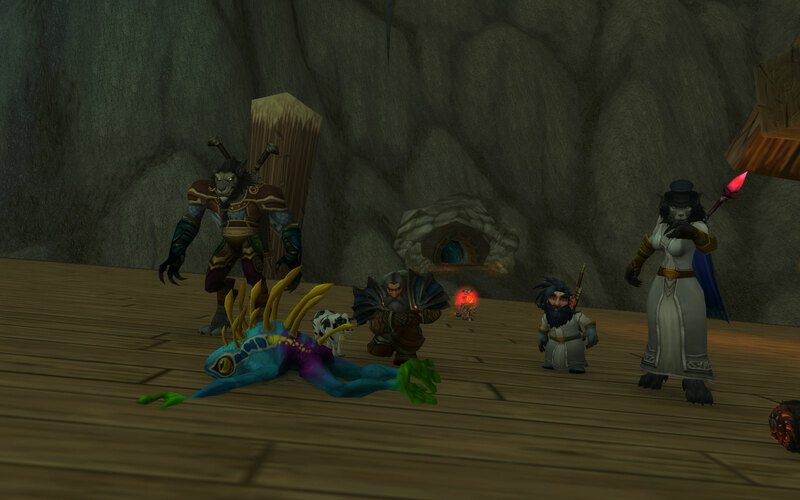 My friend is no longer with us, but hunting rares sometimes brings him back. 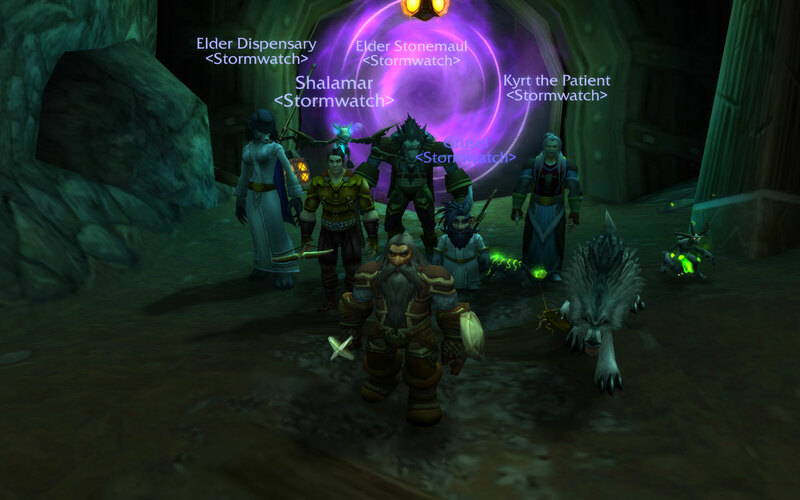 Our Alliance Guild is planning to take on Deadmines soon, our first dungeon and the first dungeon ever for our new recruit. I’m used to running Ragefire Chasm as the the launch dungeon, so this will be a fun change. We’re planning to travel to each dungeon in order to understand the lay of the land better – it will be interesting to see how long that lasts. It’s somewhat strange to be starting from scratch like this just when a new expac launches. It’s also somewhat typical for me – with each release I always seem to find a reason to not join the levelling rush and so end up way behind. 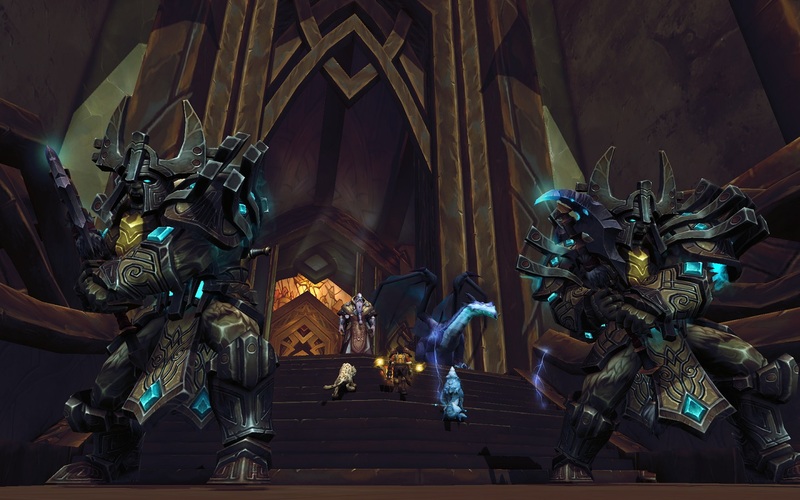 But given we’re planning to run each dungeon at level, and only one a week, there should be plenty of time to adventure into BfA too. 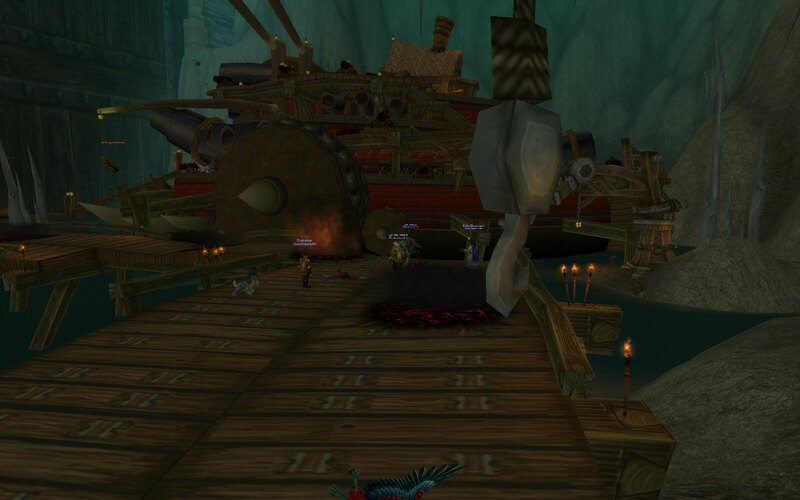 I still find it very odd playing Alliance. 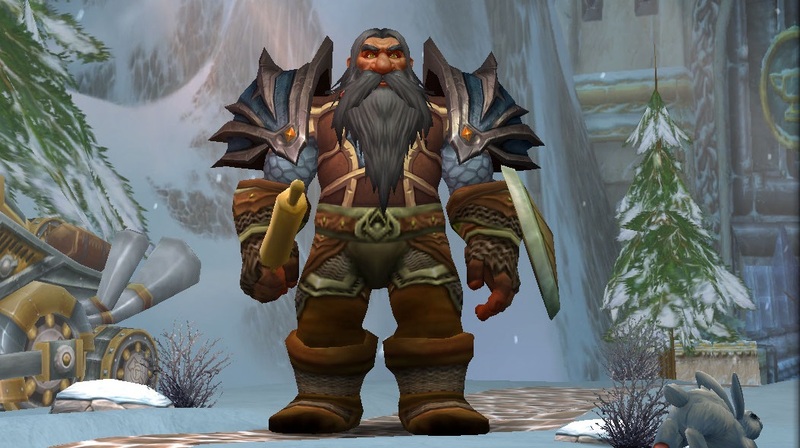 The only race I feel comfortable with is the Dwarves, probably because they were the first race I ever played – before discovering my true home in the Horde. 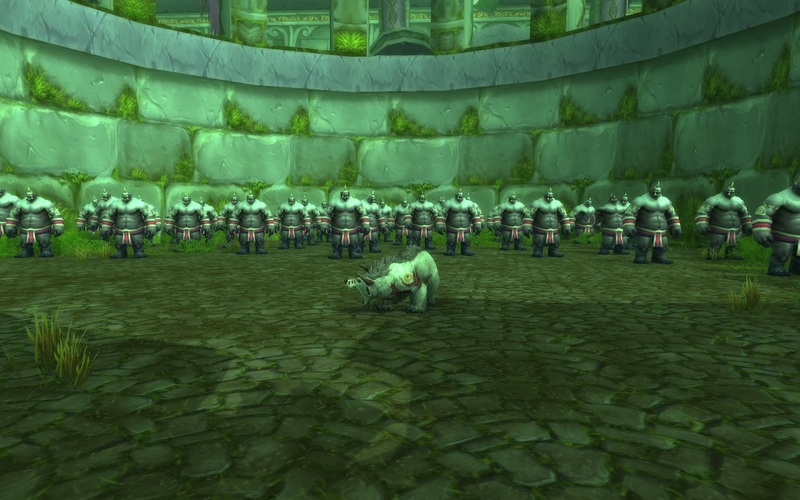 The Worgen are interesting though their animations seem like a missed opportunity – they’re somehow not bestial enough. I can’t tolerate a Human for more than a few levels before blanching at the…regularity of them. 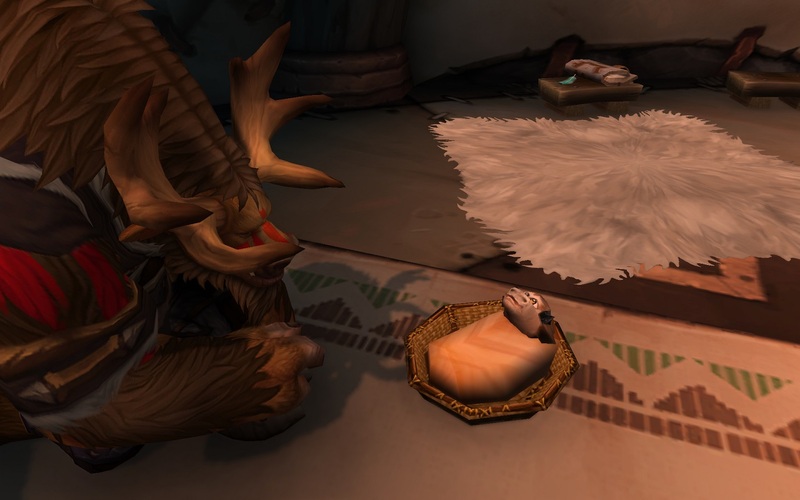 Maybe the Kul Tiras variant will be more interesting? The Dranei voices kill them for me (as well as their space story), and Elves, well they’re Elves. 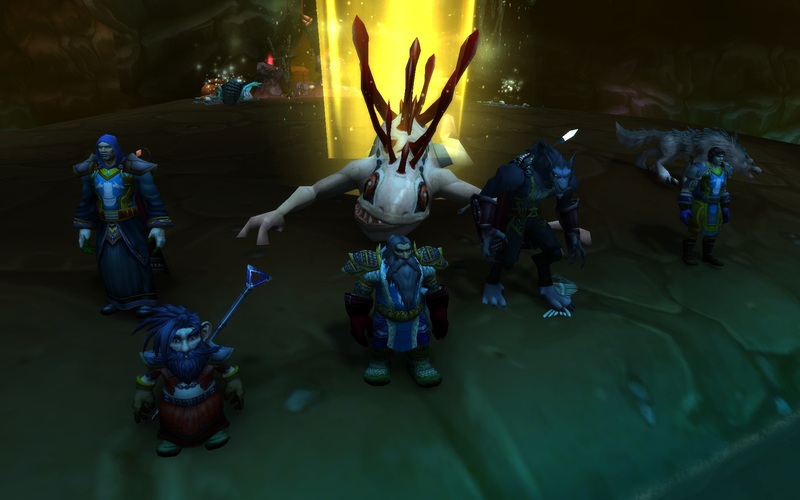 I enjoyed the Gnome animations, but along with the Goblins, their machines and environmental terrorism are too off-putting to play long term. 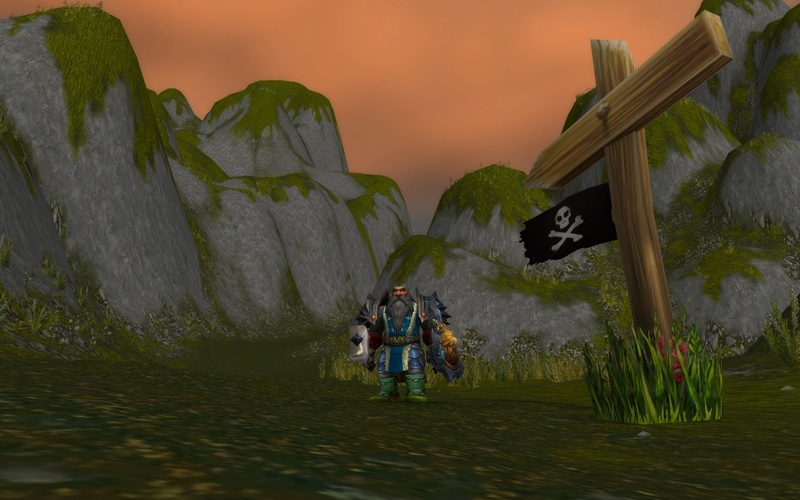 And Stormwind, ugh, I was lost in the streets for an age when I first arrived. 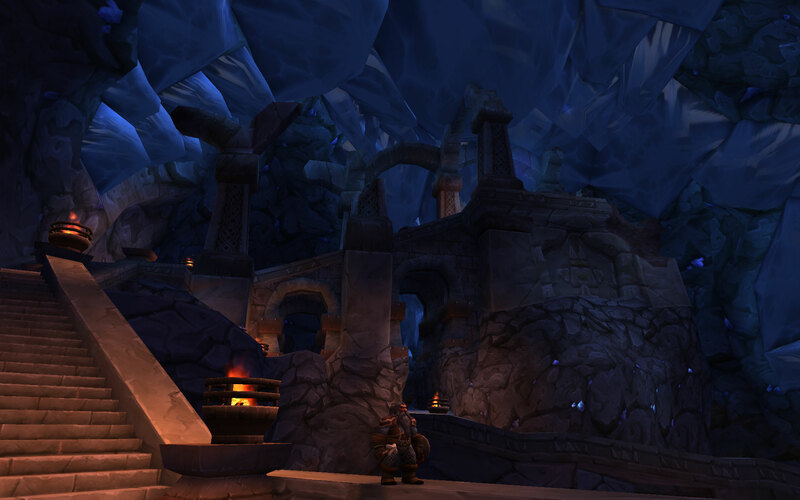 Ironforge on the other hand is quite magnificent, the scale and majesty is amazing. 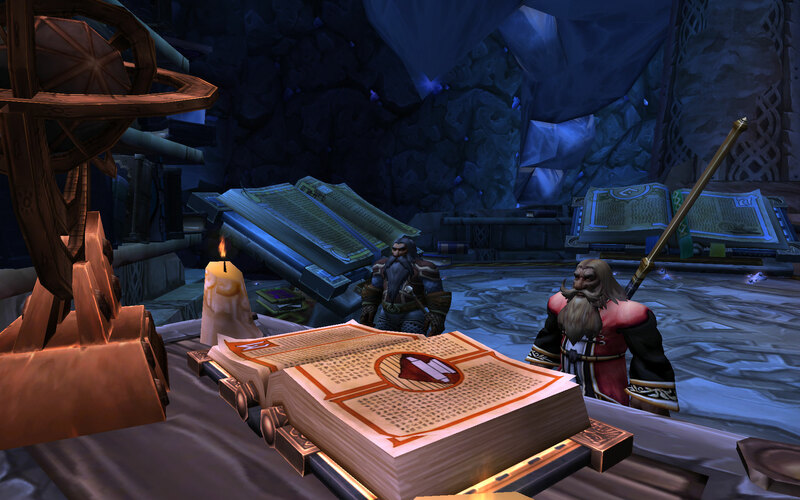 I stumbled upon a place called ‘Old Ironforge’ beneath the throne room by following a cobwebbed corridor down and down and down and suddenly emerging in an ancient place, with some kind of lorekeeper tending massive tomes. I love finding this kind of stuff, just by random exploration. 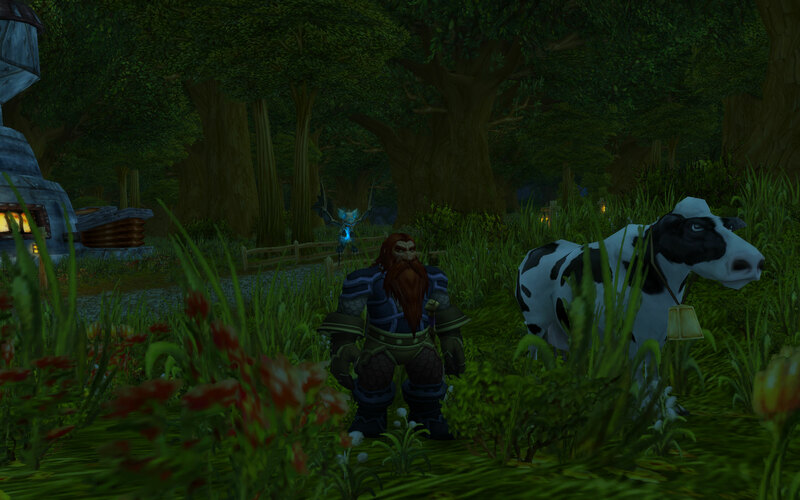 Having said all that, there’s one definite plus for the Alliance – they have many cows! 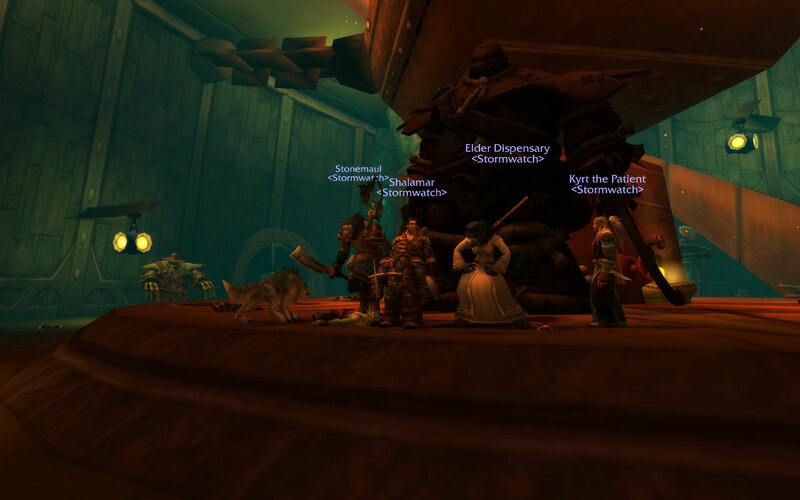 For a few years, my group of roleplaying friends fell hard into Warcraft, peaking in WotLK before real life got in the way. Since then some have played continuously, others dip in and out, and some have retired for good. But one DnD veteran never played, for one reason or another. He’s something of a completionist, and lover of RPGs, which meant it was hard to see how a basically bottomless MMO could fit into his schedule. A small chink in that armour appeared recently when we almost played Secret World Legends together, but it was barely an MMO – which is why he 99% completed it and I bailed. 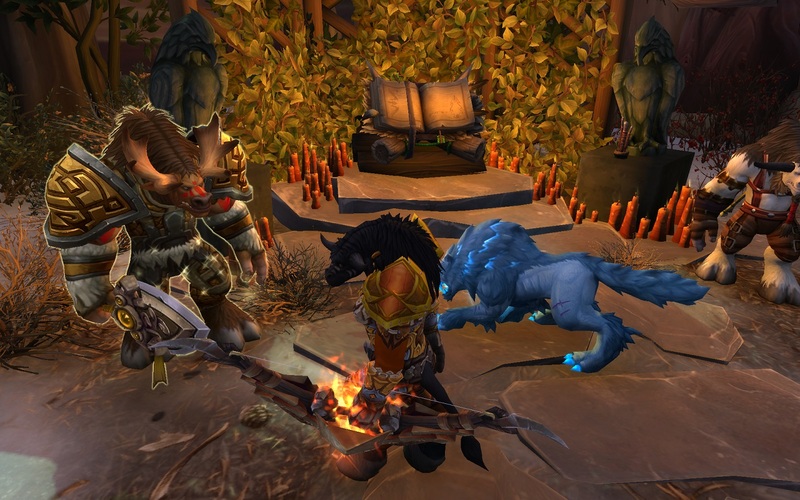 Every so often – normally around expacs – someone has tried to cajole, peer pressure, or sweet talk him into playing WoW, but never with any success. I’m not sure if it’s because of swirling storyline controversy (which means Sylvanas is trending in his non-MMO news feed! 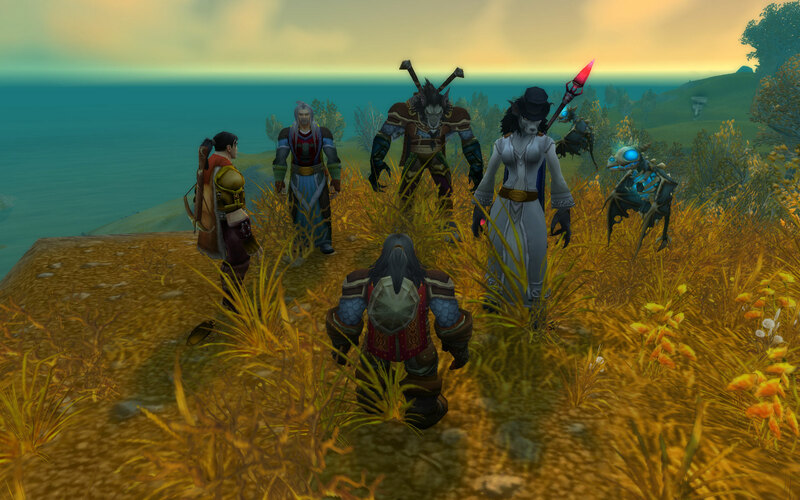 ), or the when-it’s-ready no-show for the Vanilla servers, or just the relentless ‘first taste is free’ tempting from the rest of the group. Whatever the reason, we’re thrilled he’s going to give it a try. We quickly realised though that all those rules were to make it more fun for us, the long term players looking for that spark, chasing the dragon again, somehow rediscovering the shock of the new. Some people like to know how magic tricks are done. For them, understanding the mechanics make the whole thing more fascinating, not less. For most, though, once a trick’s explained, it’s dead. Explain enough tricks and all of magic dies. Which is why you need to be careful and cautious when showing someone around the back of the set. If you reveal all the trapdoors and uncover all the mirrors there’s nothing much left but dusty boards and flat canvas. At least let the newbie see the trick done properly, once. So the new plan is: relax. Take it slowly. Look around rather than relentlessly ahead. We’ll venture into 5-mans when the time is right, and take them at a leisurely pace. And soon enough BfA will provide plenty to be going on with too. Our friend will get to have his moments of wide eyed exploration and discovery, and we’ll be there to enjoy some of the reflected glory. 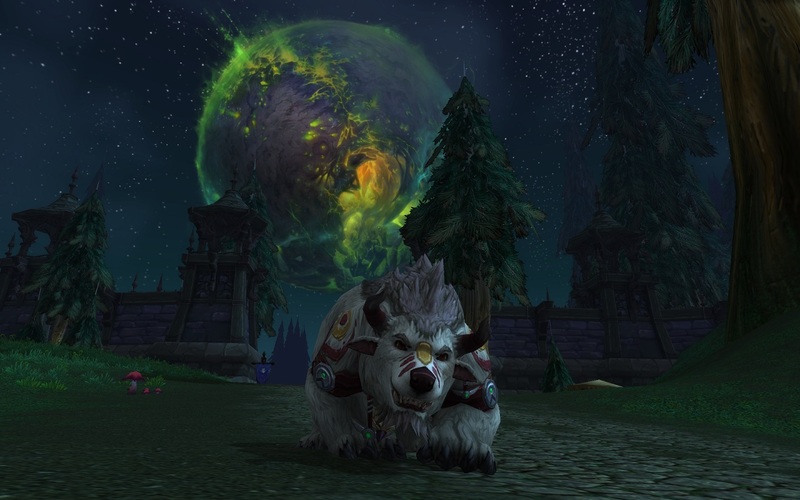 Plus: his condition for playing is that we should roll Alliance, which for a dedicated Horde group is very likely to provide the shock we are seeking! 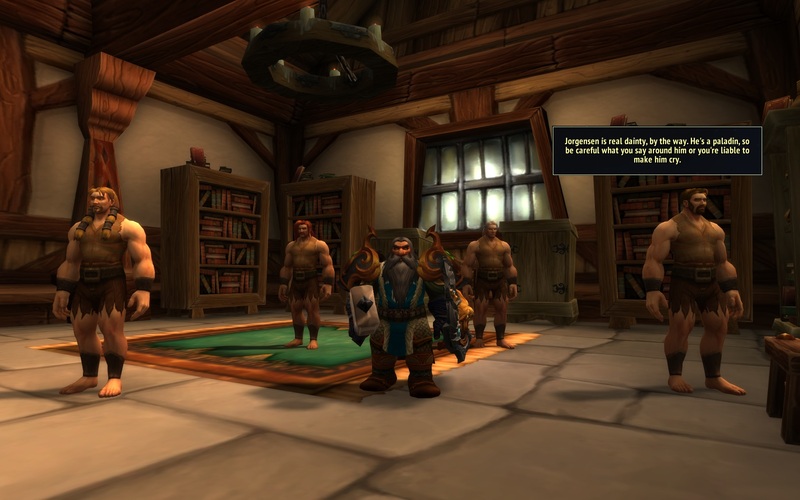 After a fairly long break, the Warcraft itch returned recently. I haven’t played at all for months, having been dabbling around in Uncharted I (fun, quick, entertaining), play-by-email Civ VI (thanks to the genius behind Play Your Damn Turn), and Overwatch (still, though a lot less). It become obvious the MMO urge was back when I started patching GW2, SWtoR, and even LotRO recently (without really playing any of them). I eventually admitted to myself that Warcraft was what I was really hankering for. In some ways this seemed kind of regressive, as Jeromai at Why I Game recently pondered – why do we continually return to the comfort of what we know when there is so much new to play out there? But then I think that comfort is part of the point – having invested enough time to really deeply understand a game, especially an MMO, makes playing it that much more satisfying. The best answer is to balance your ‘main’ game with others, though sometimes an MMO makes that difficult, particularly if you’re raiding. There really is nothing to match the satisfaction, the involvement, yes, the immersion. Stepping out in rags with a rusty sword or a knobbled stick, making your way in a hard, harsh world, being useful, helpful and always, of course, violent. Learning a craft, finding a path, seeing your rags turn to riches or at least to leathers. 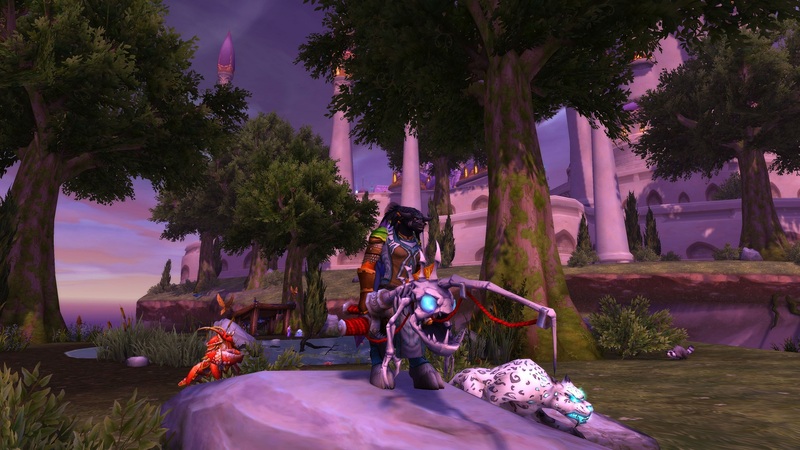 Taming pets, earning mounts, flourishing your first cloak. Seeing your reputation rise. Watching the world open up around you. Making space to stash the treasures you find. Paying the rent on your first home and laying down the pelt of that great bear you slew, in front of a roaring fire you made all on your own. As has been extensively discussed, one problem with low level play is that you quickly outzone the content, especially when decked out in heirloom gear. 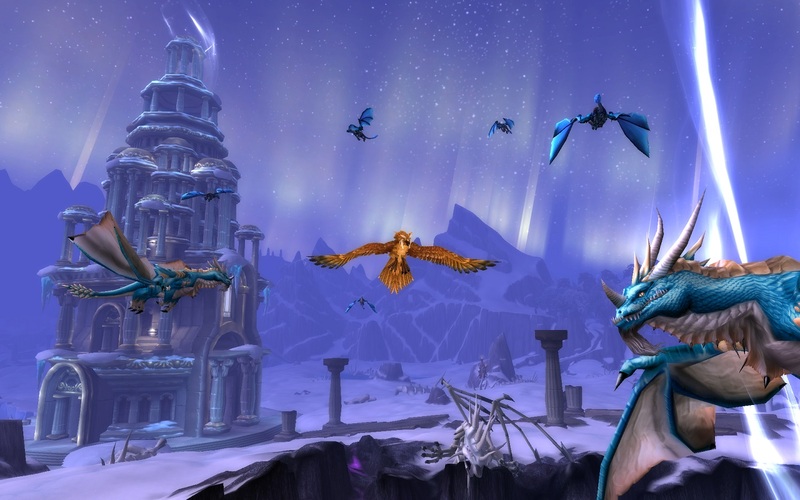 The ‘vanilla’ discussion is as lively as ever, but still seems unlikely to ever really happen (though the advent of Starcraft Remastered might be a glimmer of hope for the olde skool WoW fans). So I decided to create my own vanilla, by creating a new account and playing the free level 1-20 Starter Edition. 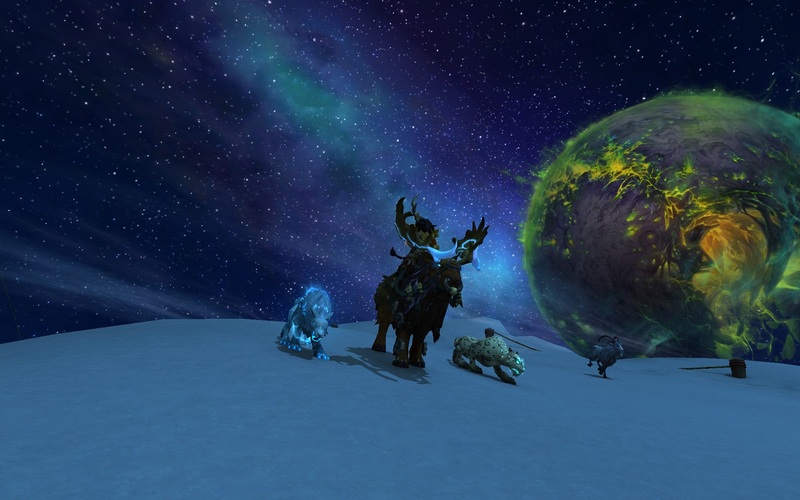 No heirlooms, no money, no bags, no speed running. And it was fun! The level progression is slower, though surprisingly not by much. 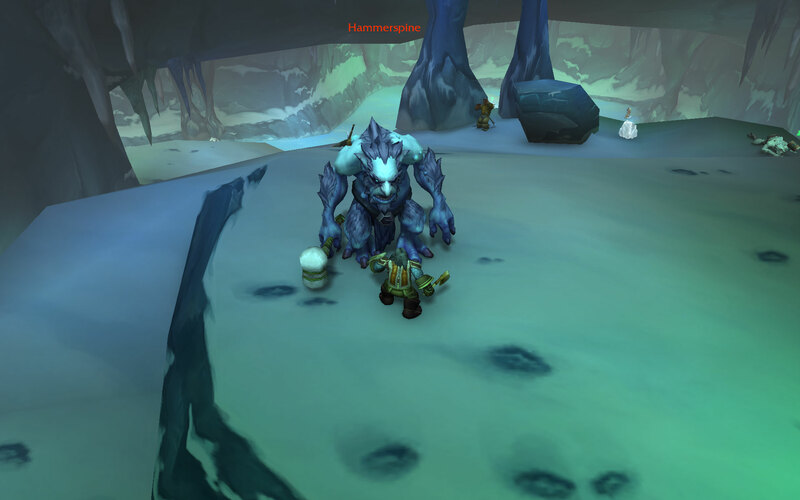 Blizzard did to a revamp of low level quest pacing back in mid 2016, and it seems to work if you’re not over geared. 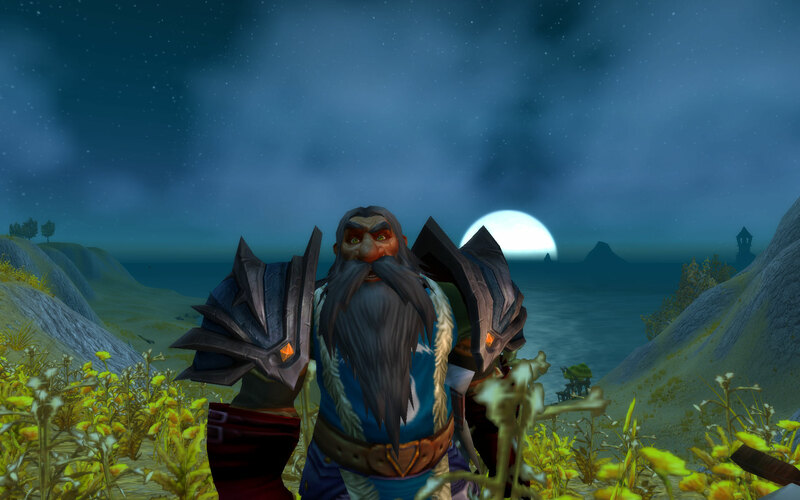 I was right around the correct level for everything I was doing in Mulgore, even having to go and pick a few random herbs at one point to get high enough level to tame Mazzranache (though gosh the guilt at leaving little Hazzranache, Razzranache, Jazzranache, and Spazzranache orphaned is pretty bad). 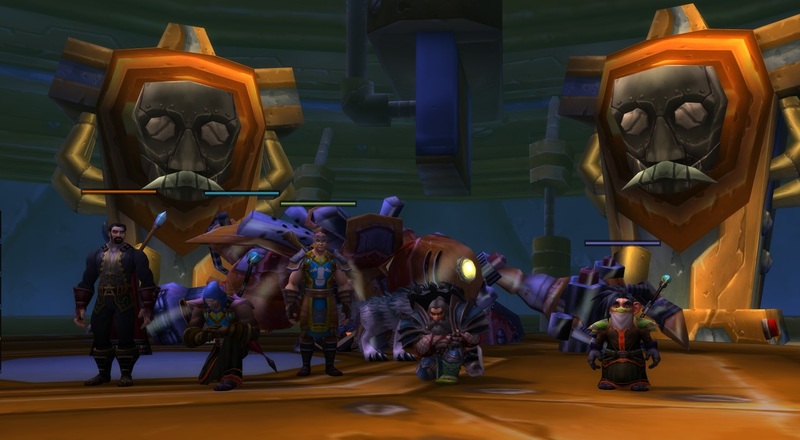 There was still no challenge, everything dropping like flies (albeit with a few more hits than normal), but it was more fun having to watch every copper and celebrate every 6 slot bag drop (tip: kill the rares – except the sacred Kodo Arra’chea of course). Having no resources also made professions more interesting, and starting fishing from scratch was entertaining in a sadistic kind of way. 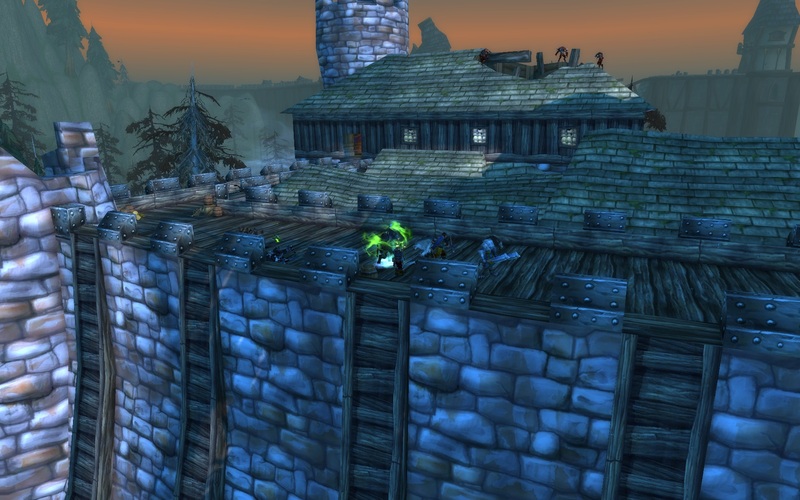 As usual I got to Thunder Bluff, and promptly found the idea of going any further kind of overwhelming. 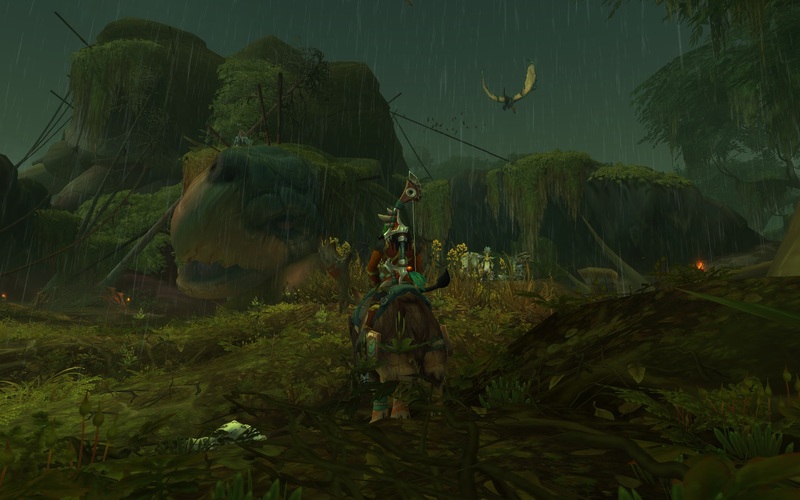 It’s a long path ahead, and some of the levelling zones have worn out their welcome. 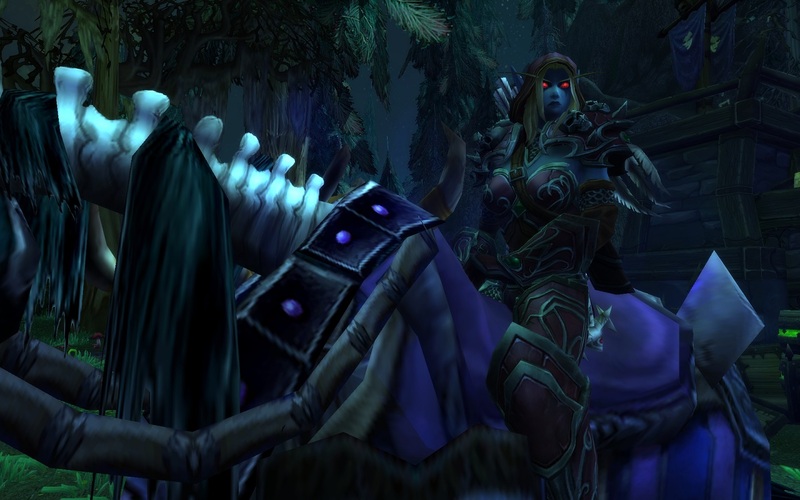 At this point I usually abandon my best intentions of zone and quest levelling and just dive into dungeons as a Tank, getting to Outland in no time by chain dungeoning. 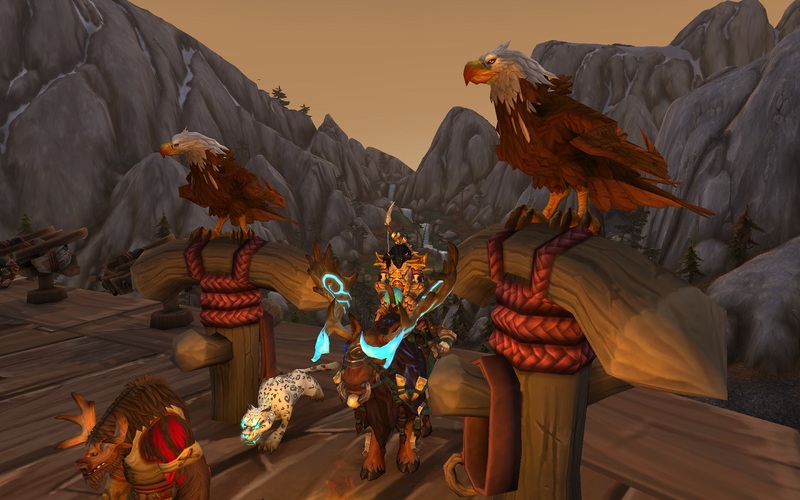 But this time that seemed wrong, these toons are not speed levellers1, they should stay the course, or just make a home in the Tauren capital and go no further. 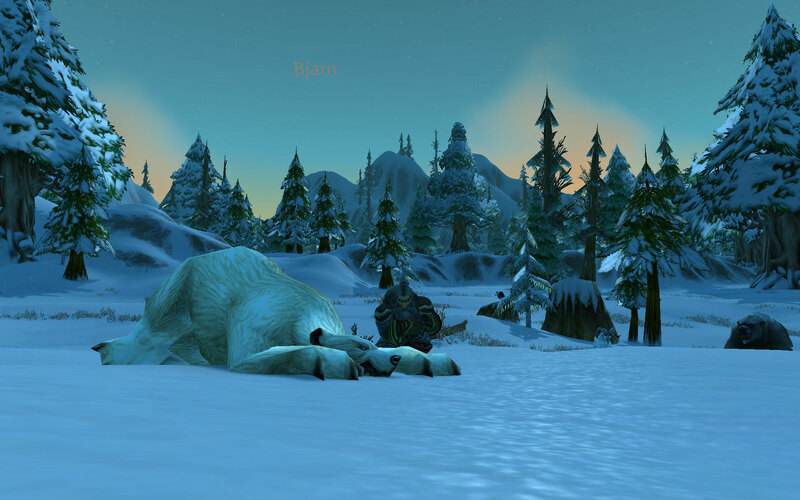 So I’ve settled my well rounded level 15s in Thunder Bluff, and stopped again. 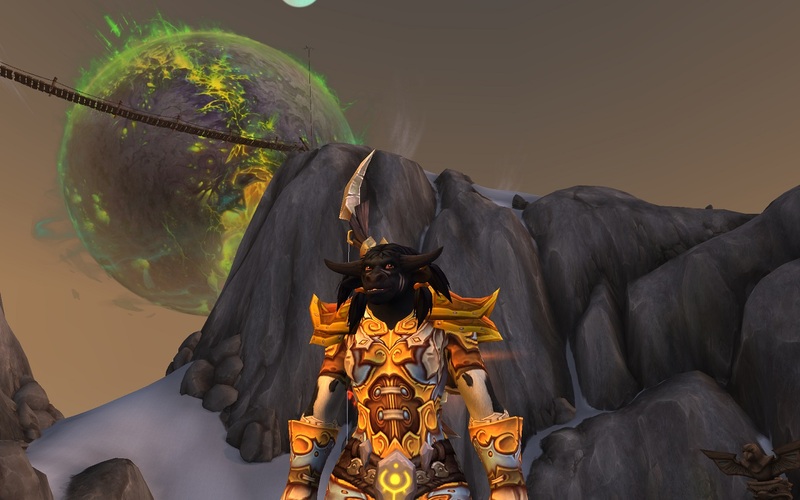 The next decision is whether to resubscribe and get some toons to level 110 – mainly my Hunter and Rogue (the Rogue being my very first WoW character, still going). I’m sorely tempted, but then The Secret World Legends is intriguing, Dishonored 2 sits in the queue, and finishing Geralt’s journey in Witcher 3 is also a possibility. But I think getting at least someone at 110 is a good plan, and after all, more than one game at a time should be possible – or twelve, if you’re Syp!